An indie craft beer, music experience featuring tastings of rare cask beers and distillery samples! The Analog-A-Go-Go festival will be held on Saturday from 11am to 4pm at the Dogfish Head Craft Brewery in Milton! This day-long, indie craft beer, music experience will feature tastings including rare cask beers and distillery samples with special tours of the Steampunk Treehouse and brewery. Folks can also partake in a record swap while listening to a DJ spinning vinyl and then stroll around the outdoor marketplace where special handcrafted treasures and unique finds are available for purchase. The off-centered bazaar will feature 20 independent merchants selling vintage goods, art, crafts, apparel, jewelry, barware, music accessories, and vinyl collectors with new and rare LPs. Marq Spusta, the California based artist known for his distinct illustrative style and longtime friend of Dogfish, will be creating original art onsite. Did someone say rare cask beer selections? Saluting all things casked, the brewers at Dogfish concocted an over-the-top lineup of delicious, twisted selections for attendees to enjoy including Orange Creamsicle IPA – a beer made from Flesh & Blood IPA, vanilla and milk sugar, Night in the Woods - a S'mores-inspired stout originating from the R&D brewery, a super-special Whiskey Barrel-Aged Palo Santo Maron, and more. A special guest brewer, RAR Brewing, will be at the event pouring tastings of a special cask collaboration. These one-of-a-kind cask-conditioned beers can only be enjoyed at Analog-A-Go-Go, folks. If you’re getting hungry, saunter over to one of four food trucks including Dogfish’s own Bunyan’s Lunchbox, Mojo Loco, Sweet Josephine’s and Scission Coffee. 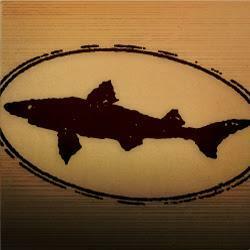 A wide variety of Dogfish Head draft beer will be also available for purchase throughout the festival. General admission tickets are $20 and include: tasting glass, sampling of 8 selections including 7 cask beers and 1 distillery option, access to artisanal marketplace and Steampunk Treehouse and brewery tours. Non-beer sampling tickets are available for $10 including: beach beer drinks, artisanal marketplace access and Steampunk Treehouse and brewery tours.